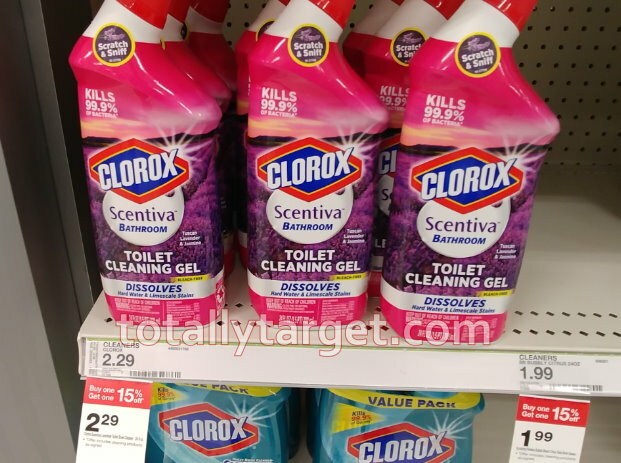 We have a nice new printable coupon available to Save $0.75 off any ONE (1) Clorox® Scentiva™ product. Even better, we have a cartwheel offer to stack plus a B1G1 15% off deal thru 11/10 to make for some nice savings…. However, if you can wait and shop next week, starting on 11/11 Target will be offering up a FREE $5 Gift card wyb $15 or more of select cleaning and dish care. No coupon is needed, the gift card should automatically prompt at the register once you meet the spending requirement for qualifying products. I am a little worried your amount will have to reach the $15 threshold AFTER the cartwheel discount – so to play it safe, I am factoring it into this deal….